On June 10, 2016 the Clarkstown Police Department responded the 7-Eleven located on Rt. 59 in Nanuet for a suspicious incident involving an ATM machine located inside the store. The responding unit was informed by a customer that the keypad on the ATM machine appeared to have been tampered with. Upon further investigation it appeared that a fraudulent keypad was mounted atop the keypad of the machine. The Clarkstown Detective Bureau responded to the scene. This is an active investigation and we request that if you have used this machine recently that you contact your bank or financial institution to ensure your account was not compromised. As technology advance, we in law enforcement try to keep the public aware of different forms of fraud being used. If you have any information please contact the Clarkstown Police Department at 845-639-5800. On Thursday, June 16, 2016 shortly after 9 p.m., the Clarkstown Police Department made a drug related arrest following a brief vehicle pursuit. An officer observed a white Nissan pickup truck make a turn onto Gilchrist Road in Valley Cottage without signaling and attempted to conduct a traffic stop. The pickup truck accelerated and the driver threw a small object out of the passenger side window. The pickup truck continued and at times, drove upwards of 80-90 miles per hour and crossed the double yellow lines several times. The pursuit ended in West Nyack after the driver drove onto Demarest Mill Road which is a dead end. 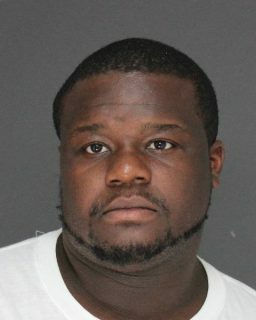 The driver was taken into custody without further incident and was identified as Khristopher Crayton, 29, from Amityville, NY. Recovered items included eleven (11) grams of crack cocaine, twelve (12) grams of heroin, a digital scale, and numerous clear plastic bags. No injuries were sustained and no property was damaged during the pursuit. Crayton was charged with the following felonies: 2 counts of criminal possession of a controlled substance 3rd, 2 counts of criminal possession of a controlled substance 4th, criminal possession of a controlled substance 5th, reckless endangerment 1st, 2 counts of tampering with physical evidence; and the following misdemeanors: 2 counts of criminally using drug paraphernalia 2nd, and 3 counts of unlawfully fleeing a police officer in a motor vehicle 3rd. Crayton was arraigned in Clarkstown Justice Court and remanded without bail to the Rockland County Jail.